Warner are releasing a set of Bach's complete keyboard works played by Zuzana Růžičková to mark the harpsichordist's 90th birthday. 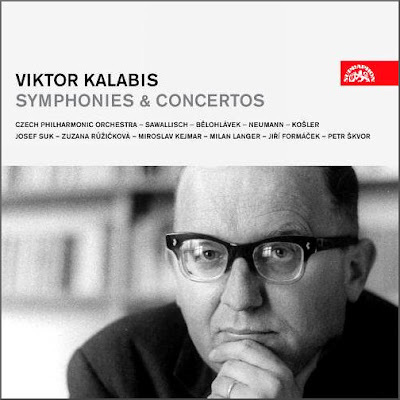 Zuzana Růžičkováwas was married to the composer Viktor Kalabis (1923-2006), and in a 2013 post about Kabalis I said that the standout on a new 3 CD Supraphon anthology of Kalabis' concertos and symphonies was his Concerto for Harpsichord and Strings conducted by the composer with his wife as soloist. Zuzana Růžičková's advocacy of new music needs recognition. As well as performing her husband's works she collaborated with pioneering figures including Maurice Ohana and Iannis Xenakis. Moroccan-born Maurice Ohana in particularly remains a puzzlingly neglected composer; he was profiled here in a 2008 post which highlighted Zuzana Růžičková's advocacy. Let's hope that the well-deserved birthday accolades for Zuzana Růžičková draw some attention to these forgotten late 20th-century composers. No review samples or other comps used in this post. Any copyrighted material is included as "fair use" for critical analysis only, and will be removed at the request of copyright owner(s). Also on Facebook and Twitter.